Prior to its damming, the Valley was known for its towering granite cliffs, grassy meadow speckled valley floor, and pristine Tuolumne River. The valley had waterfalls that fell nearly a thousand feet over its rim to the basin below, and was historically known for its abundance of black bears. Today Hetch Hetchy offers a very different view with man’s permanent mark laid in the form of cement and reservoir. 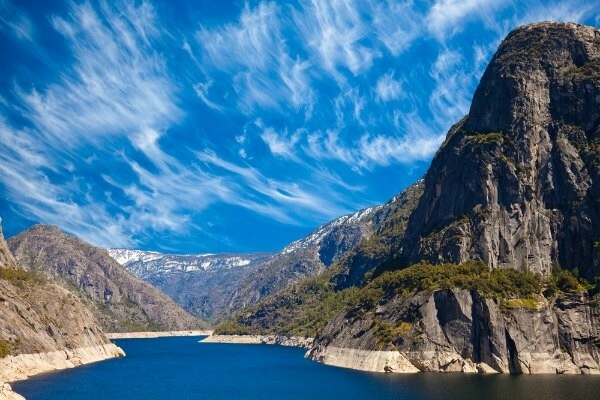 And although the face of this majestic valley is forever marred with mans figurative and literal thirst for development Hetch Hetchy still offers one of the most important qualities we seek in wilderness. Silence. 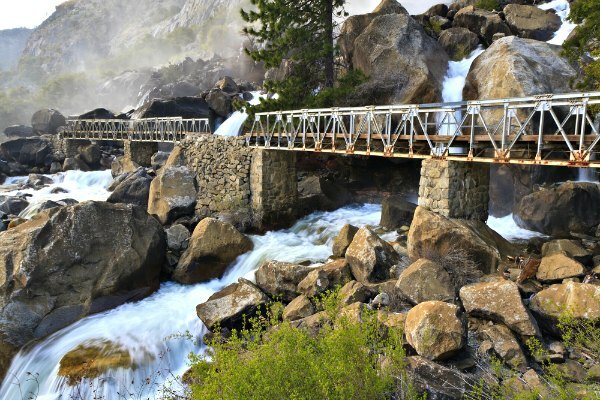 The Yosemite Valley, sitting a couple hours drive from Hetch Hetchy is the heart of the park. It is the main draw in Yosemite with El Capitan, Half Dome and all the amenities for even the most spoiled visitor. Being loved by so many it's no surprise that Yosemite Valley can become rather busy in the summer months, and sometimes a little bit of peace and quiet is just what you need to enjoy the amazing natural scenery. 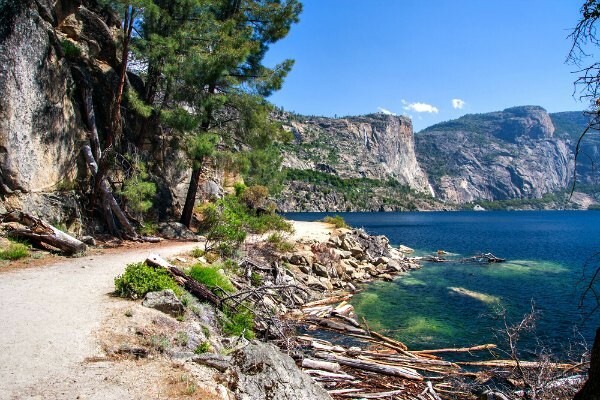 That's why Grand American Adventures group's travel down the long and winding road in search for solitude in Hetch Hetchy. On a recent trip to the “other” valley of the park, my group and I were ready to have some quiet time enjoying the sounds of only nature. After a morning hike to the Merced Grove of Giant Sequoias we arrived at the entrance station to Hetch Hetchy just around lunch time, where we were notified by the friendly ranger there were only 27 other visitors in this section of the Park, a stark contrast to Yosemite Valley, where finding parking was a challenge in itself. We drove the remaining 7 miles to the dam, where we parked and walked across to the trail head. I gave a short briefing of the trail leading around to the far side of the reservoir towards Wapama Falls. We would spend our entire afternoon here, sitting quietly under the shade of the Manzanita and pine trees along the shelf-like trail, or walking to the far end of the lake, all along enjoying the sole company of our group, and some Stellar Jays who swooped and followed us along the trail. They seem as excited to see us as we were to be there! The walk itself has a calming effect on hikers who venture to this oasis of solitude in one of the busiest parks in the country. It makes its way along the northern shore of the reservoir on a shelf about 75 feet above the water. During times of more rain and snow the water would be only a few feet off the trail, but with the current drought in California the distance from trail to water is a reminder of the water crisis in this Park, State and Country. As we hike the 2.5 miles towards Wapama falls we see only a couple of other hikers; backpackers returning from a multiday trip to Lake Vernon. They are the kind of hikers you hope to see on a trail like this, and their conversation is welcomed, with talk of the Yosemite backcountry and their experiences. As the afternoon sun drops light on the valley walls it's time to head back to the van, and camp. Once we're all back together and heading home there is a relaxed and content feeling from the group in the van. This kind of satisfaction I've found is only achieved with time spent surrounded in a vast wilderness and a select few people. It's the kind of feeling that nourishes the soul and reinvigorates the mind and body. That night we eat an early dinner in camp, and head a few miles down the road to Groveland, a high sierra town settled by the original gold rushers of the area. Groveland’s main claim to fame is that it’s the home to California’s oldest saloon. The Iron Door. It’s a dark, hole in the wall type of saloon so loaded with character that even on a Monday night, miles from any major city or town it's packed with locals and travelers alike, all enjoying a cold drink, good friends and bad karaoke. 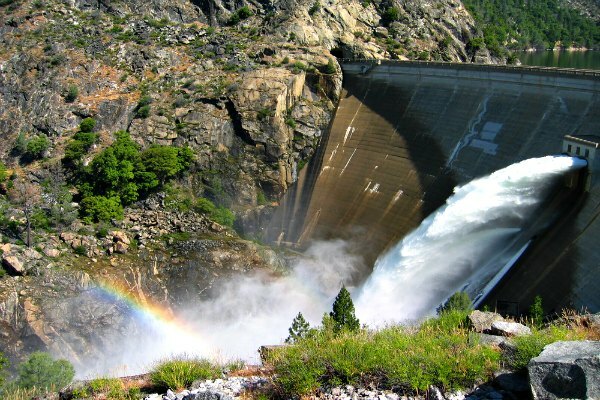 We enjoy the atmosphere and history of this unique watering hole, and reflect on the day we’ve had, starting with Giant Sequoias, and an afternoon walking in the quiet and peaceful Hetch Hetchy Valley, and ending at 49’er saloon in the high sierras. Who needs the crowds of Yosemite Valley? We’ve got all this!